For both humans and dogs, the loss of a home to fire is traumatic, but the two species process such events differently. 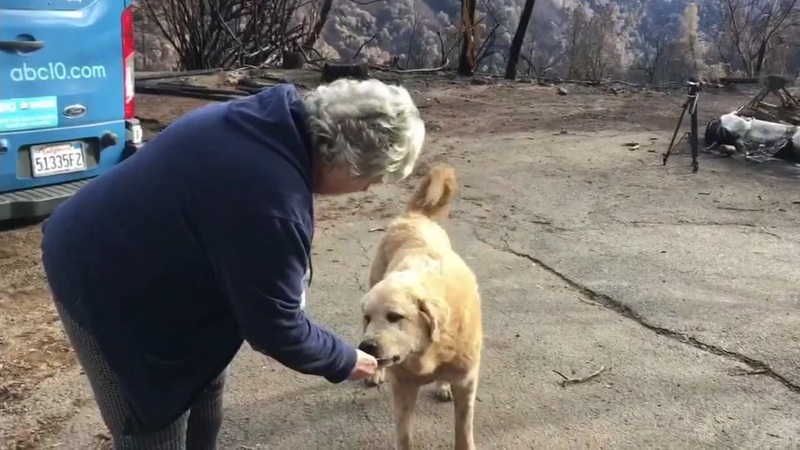 PARADISE, Calif. -- Many of us have heard the story of Madison, the Anatolian Shepherd who lost his home in the Camp Fire and yet guarded that property for weeks awaiting the return of owner Andrea Gaylord. "In this case the dog is going to go to is home, recognize some of the stuff around the home and because they were people who loved him, they will stay there and wait," explained Trish.